When you need to transport your livestock from one place to another, you need a good trailer. Hiring out a vehicle or renting a trailer can become costly, especially over time. 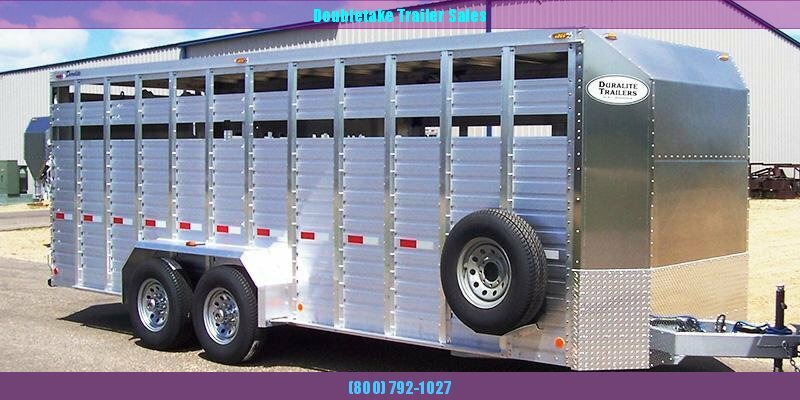 At Doubletake Trailer Sales, we offer a wide selection of horse and livestock trailers for sale, backed by a 1-year warranty. 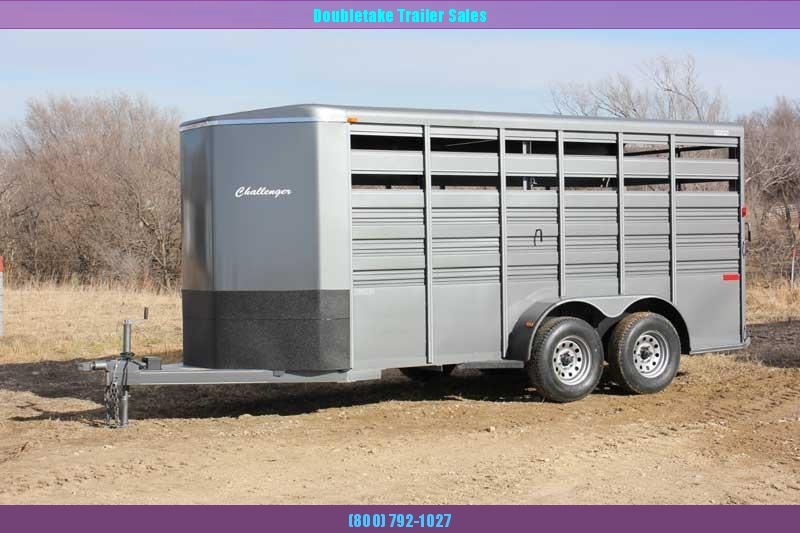 Buying a trailer offers you the opportunity to get your own livestock transportation lined up whenever you want. You don’t have to worry about a company showing up late or not having the vehicle or trailer you need because you will have your own. To get the most out of your trailer, you want to make sure that you get it from a company that is a leader in livestock trailers. 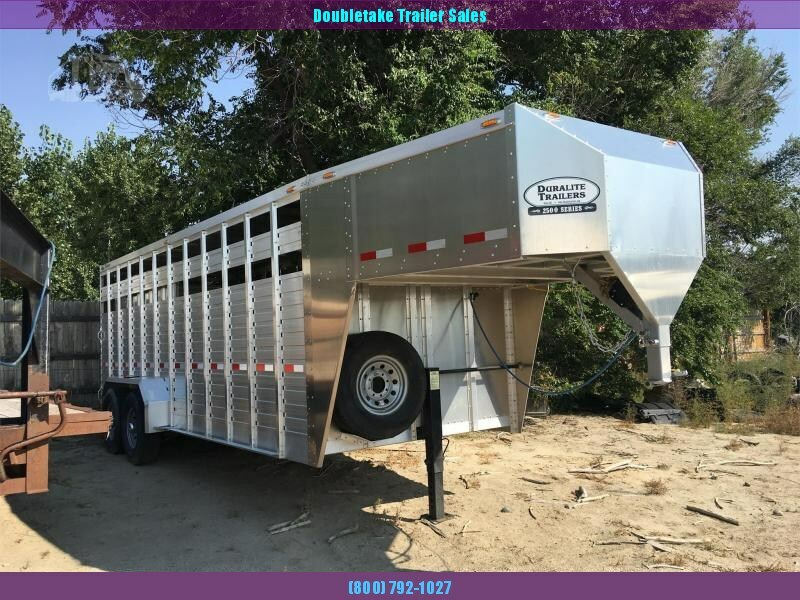 Unlike some other livestock trailer dealers, Doubletake Trailer Sales offers a competitive price for a top quality livestock trailer. All of our trailers come with a great warranty, so you can be sure that you are getting a quality product that will be taken care of if anything goes wrong with it. Your livestock is important to you and, likely, your business. Make sure that when you need to take it over the road, you use the best in transportation. Contact us so that we can help you find the right trailer solution for your needs. We look forward to providing you with a great ride for your livestock.